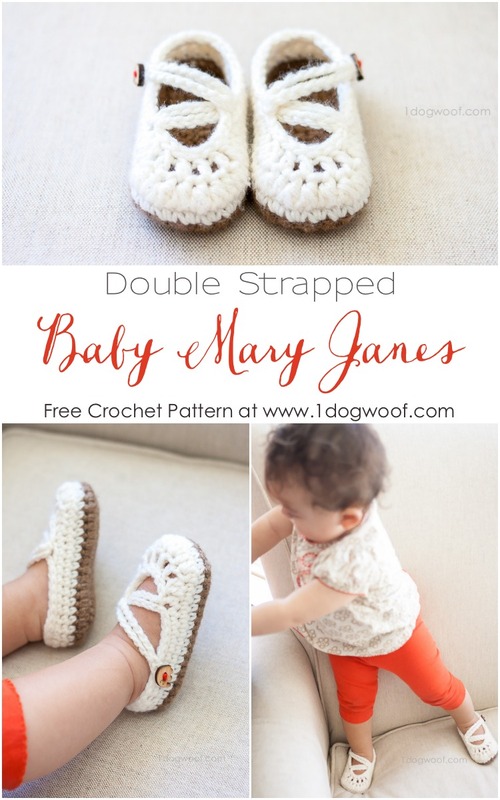 UPDATE: I am now offering a printable PDF version of this Double-Strapped Mary Janes crochet patten for sale on Craftsy. The PDF does not have ads or comments, and has the photos at the bottom for easier printing. This is my first new crochet pattern in a while and I’m pretty excited about it! Part of that is probably because I just recently unpacked a crochet hook. Or rather, two crochet hooks. The rest is still tucked away in the garage somewhere. But hey, a G hook is all you need! The reasoning behind this baby shoe project is because LM refuses to wear shoes. She just rips them off and throws them everywhere – I lost one of her new shoes at Ikea the other day when I wasn’t paying attention. 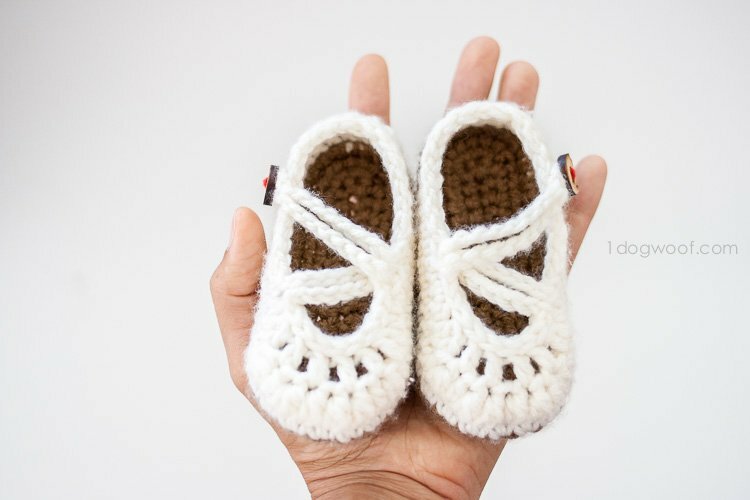 So, although I love my Mary Janes, I needed a pair that couldn’t be taken off so easily by grabby little hands, hence my double strapped baby mary janes crochet pattern! I can attach the button wherever I want, and I attached it far back enough to ensure a snug fit for baby’s fat ankles. This pattern is for personal use only. Please do not claim this pattern as your own, or sell or distribute it. If you would like to share this pattern, please link to this site and do not repost the pattern on your site. You can sell finished items made from this pattern, but please link back and give credit to One Dog Woof. Thanks! hdc2tog: half double crochet two together – a decreasing stitch -> yo, insert hook into stitch, pull up a loop, yo, insert hook into next stitch, pull up a loop, yo, pull yarn through all 5 loops on hook. dc2tog: double crochet two together – a decreasing stitch -> yo, insert hook into stitch, pull up a loop, yo, pull yarn through 1st two loops on hook. yo, insert hook into next stitch, pull up a loop, yo, pull yarn through 1st two loops on hook, yo, pull yarn through all 3 loops on hook. standing start: with a slip knot on hook, insert hook into stitch, yo, pull up a loop. yo, pull yarn through loops on hook. 1 sc created. Note: The first stitch following a chain in each round is worked into the same stitch as the chain (chain does not count as a stitch), except for Round 7, where the hdc is worked into the next stitch (ch2 is considered a stitch). Round 4: Ch 1. Turn your work clockwise so that you are facing the wrong side (inside) of the sole. Insert hook into the space below the last sc you made in the previous round and work 1 sc. Work 1 sc in each stitch around by inserting hook into the space between rounds 2 and 3 and working the sc AROUND the stitches from round 3. Since you are facing the wrong side of the sole, this round will be worked in the opposite direction as previous round. You will also end up with 1 extra stitch (41). At the end of the round, join to the first sc with a sl st and fasten off. Round 8 (Left shoe) : Work 1 sl st in each of next 12 stitches. Ch 20, sl st in 5th chain from hook, ch 15, then sl st in same stitch. Work 1 sl st in each of next 9 stitches. Ch 2, skip 2 stitches, then sl st in next stitch. Work 1 sl st in each of next 12 stitches. Join and fasten off with the invisible join. Round 8 (Right shoe) : Work 1 sl st in each of next 8 stitches. Ch 2, skip 2 stitches, then sl st in next stitch. Work 1 sl st in each of next 9 stitches. Ch 20, sl st in 5th chain from hook, ch 15, then sl st in same stitch. Work 1 sl st in each of next 15 stitches. Join and fasten off with the invisible join. Finishing: For both shoes, insert the strap through the hole made in the last round. Sew on a button on the same side as the beginning of the strap, and place it wherever you need to towards the back of the shoe. I placed mine about 6 stitches in from the center of the heel. The loop you made when sl st in the 5th chain from hook is the button loop. Make sure you choose a button that will fit that loop. Ah, yes, those elephant buttons. Aren’t they the cutest thing? I luuuurve them, and have been holding (hoarding) onto them for a while, ever since I picked them up in Taiwan. I also have star shaped ones, duckies, and puppies. Oh the cuteness abounds! Did you enjoy this pattern? I’d love it if you Like or Pin this post to share with your friends! Just use the buttons at the top or bottom of this post. These are absolutely Adorable. The cutest I’ve ever seen. Thanks for sharing the pattern. Thanks Carolyn! I’m so so flattered! I don’t have a print button. You can print the page through your browser or copy/paste the text into a text editor, and print from there. Thanks! You should be able to right click and it should give you the option to print. You should be, they’re really adorable..! Exquisite and wearable! Thank you ChiWe for such lovely baby shoes! (One question!?) row 4″- Is it similar to a fpsc as you work around in spaces between sts or: through space between 2 & 3, yo, back through then yo the top of the previous sc row to gather it please? It’s your second option – work through the space between rows 2 and 3. Thanks! These are adorable, ChiWei!! Off to pin! Thanks so much Alexis! I love your work and I so appreciate you pinning my stuff! Adorable! I just made some simple ones over the weekend for a baby gift. I guess she’ll be getting 2 pairs because I have to make these! Quick question, it looks like you start with the sole color and then switch to the body color at row 5, is that correct! Very excited to make these! Carolynn, yes, the body color starts in Round 5. I added a note to Round 5 that indicates the start of a new color. Thanks! I made the right shoe last night. I did it with a grey sole and black body, and holy moly it is SO cute! Thanks so much for posting this pattern. Now I need to find buttons as cute as those elephants! Whew, I’m so glad it worked out for you! I made a few of these just to check that my instructions were correct, but it’s good to know someone else can understand my gibberish! Thanks so much for letting me know! Sorry no photos. You’re going to turn your work so it’s “inside-out” and then crochet around the last row of single crochets. “Around” like you would crochet around a rope to make a basket. The “rope” in this case is the previous single crochet row. That’s what creates the sharp edge of the sole. These are so cute…on row 5, do you chain to start the row? I love these Mary Janes with the double strap My one granddaughter will love these. I get to spoil her like no other because she is my only granddaughter with seven male cousins. I would try a larger hook and maybe thicker yarn, but I don’t have information on changing the pattern itself. Oh these are so adorable, and I love the little elephants. 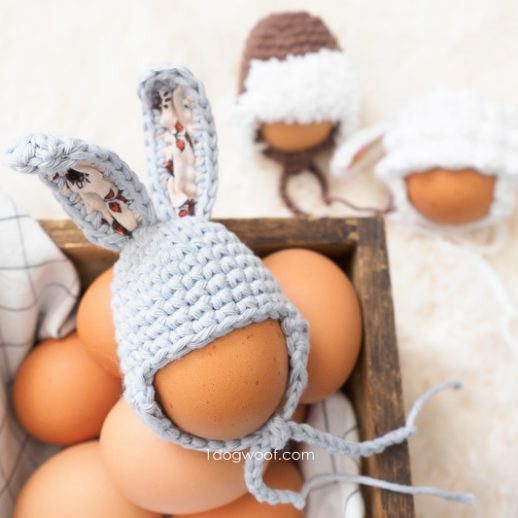 I really need to work on by crocheting skills so I can make a pair of these some day. Thanks for sharing. I know, right? The elephants just kill me! Good luck with your crocheting! 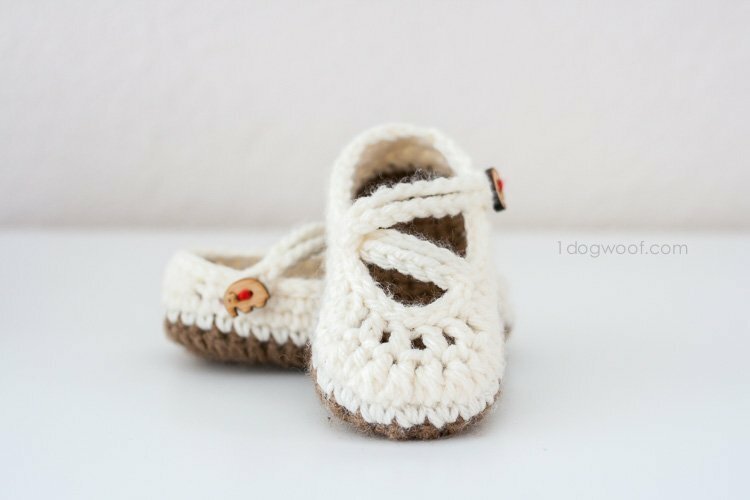 These are seriously the cutest little baby shoes…I can’t wait to make some for my nieces arriving in Nov. and Dec. and Feb.! Thank you so much! Thanks for the pattern:) I am a bootie challenged crocheter that needs pics to go along with the directions. Would you please consider adding pics the next time you write a bootie pattern? Enjoy your blog and your adventures to San Francisco:) Follow you and your patterns! Thanks again so much for this one! I’m going to give a try! I usually tear apart my projects several times before the final completion which is why I rarely take in-progress shots, but I’ll try to remember. Thanks! These are so stinking cute! 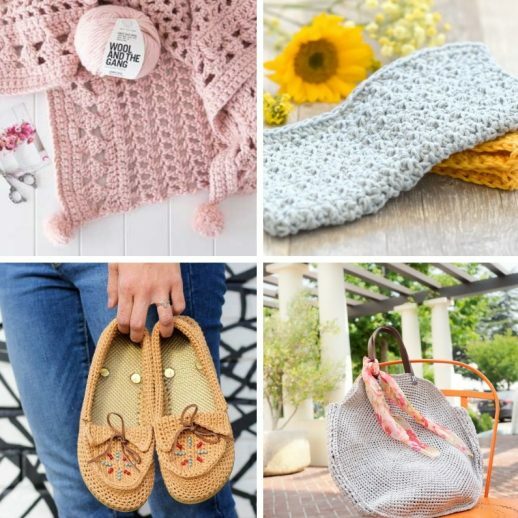 I’m feeling inspired to find a hook around my house (with a 3 and 4 year old, somehow crochet items look like fun toys and end up who-knows-where) and make a pair for my 1 year old! I’m in love with them! Yes, that’s my house too! Everything that is a toy is uninteresting. Everything that isn’t a toy is FASCINATING. Why?! Thanks, and I hope you find your hooks! I’m sure I’ll find the hooks now that I have a good reason to dig through the toy box for them! First of all- absolutely LOVE these. Second- from the pictures it appears that the spacing created by the dc2tog in r7 is spaces evenly along the toe of the shoe? For some reason every time I attempt- it’s coming out more along one side. Any idea what I’m doing wrong? I feel like im starting my main color in the wrong place… Or I’m really not sure. Just kidding- I figured it out! It’s called trying to crochet at night after the babes are in bed- too tired mommy! Melissa – I’m having the same problem, spacing is not centered at all, much more on one side than the other… what did you end up figuring out if you don’t mind sharing? I’m not sure how to help with the centering and spacing. You could try counting out the stitches in the round before working the round itself and maybe count from the center to the sides to see if you can figure out what went wonky? I’ve run into the same problem and don’t think there’s anything wrong with the pattern itself, otherwise there wouldn’t have been so many people getting it right the first time. I think it comes from the turning clockwise and then back again. I’m thinking some of us start in the WRONG direction after that. Which messes up everything, even you count your stitches and all. I’m going to start over and go in the opposite direction (from the one I did first), and see if I’m right. I had the same issues, but figured it out by reversing the instructions on a couple of rows. I chose pink soles and white for the tops, then added some vintage white flower buttons. I’m in love! 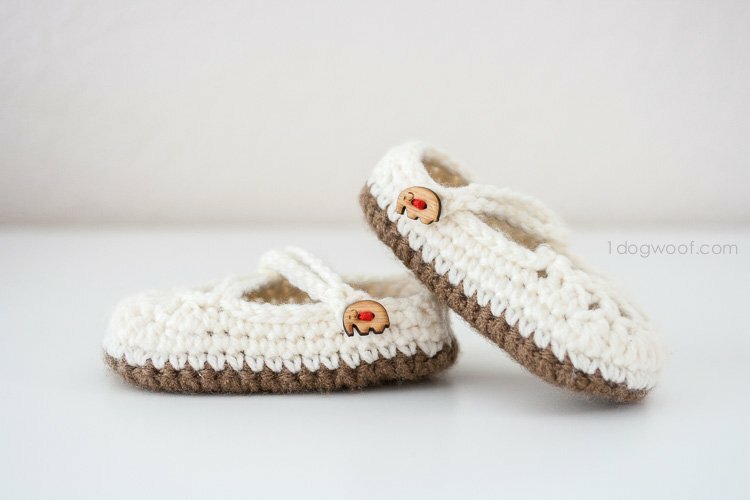 I want to make these lovely little shoes for my little girl. I had thought me being left handed was the problem but I don’t know…. I found that in row 6 I had to go from 14 stitches to 10 & add those 4 stitches to the 18 at the end of that step. Not sure why, but that got them straight for me. I also had issues with 5 extra stitches in row 7 by the time I made it back to the heel so I just did every other stitch & think they turned out cute. We’ll see tomorrow if they actually work with my adjustments. Lol. I think I figured it out. In Row 5 you should be doing the sc into the first 16 stitches, not 14. If you do it in 14 only, your “2 sc into next 7 stitches” are already off center, and that will throw all subsequent rows off. I think part of the confusion is that when you start with your standing stitch on Row 5, you’re not starting at the dead center of the heel, so you might not know if you are starting at the right stitch or not. Whatever it is, you can find the middle stitch at the top of the sole (where the toes would be, the widest point), and then count that middle stitch + 3 additional stitches BACK towards your standing stitch. Do as many sc as required to get to those stitches, than start the “2 sc in the next 7 stitches”. Thank you to those above who clarified how to fix the pattern. I’m making them and was very frustrated. Seems the author should fix the pattern so anyone making them will know how to get to the right spot, rather than having to search online in the hopes someone had figured it out! Hopefully, the clarification right above me will help – now back to crocheting for that sweet granddaughter! I spent hours trying to find a pattern for some cute Mary Jane’s today and then you posted this pattern. It is perfect to complete the set I am making for my great neice who is due any day now. Thank you so much. Love these… So cute. I am going to try and make them for my newest niece. 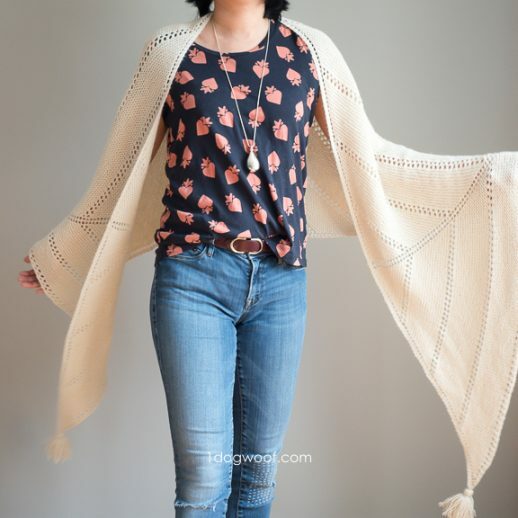 I have some 100% cotton that I have been trying to make into a baby sweater for 18 years and never completed that would be perfect for this project. Pinning this. Wow, a sweater! I would never finish a project that big 🙂 These shoes are small and I can see the light at the end of this tunnel 🙂 Cotton yarn would be great for it too, have fun! Beautiful pictures and very clear pattern explanations! Thank you for your work! thanks so much for this great pattern, i have been so wanting to make some. I have a niece that is little and they will be so cute. i have attempted some other slipper patterns but my brain won’t get it but with you pattern my brain like it. I was wondering if you have a boot pattern. thanks again so much for this pattern. you rock!!! Thanks so much Laura! I don’t have a boot pattern yet but as the weather gets colder, it’ll get higher up on my list of things to make! Do they actually stay on as baby is on the move? My 10 month old rips shoes off or they come off while crawling. Thanks! I can’t guarantee that they’ll stay on, but you can always shorten the strap to make a snugger fit. Precious! Wondering if I need to add nonslip stuff to the bottom for a 12 month old that’s walking. They are really cute and double strap a great idea! Yes, you might want to attach a piece of suede or leather to the bottom. Thanks for stopping by! I use clear silicone for the bottom of all slippers I make. You can find them at your local Home Depot, it’s one for caulking tubs and such. It doesn’t leave a smell, dries very fast, and you only need a thin layer of it. I used puff paint once on some baby socks and they ended up cracking after a couple of washes. Maybe the silicone would hold up better. After I made my left shoe , I found out it was actually the right one. How did that happen I don’t know. Still looks good. Tomorrow I will make the right one . The description was easy to follow for me as a beginner , thank you so much . Oh, good, I’m so glad to hear you could follow the description! That’s always a worry with me, so I’m happy it worked out for you! Mine turned out the same way. If you are left handed that could explain it. Lefties work backwards. I love these & thank you so much for sharing your pattern. I have 1 question. 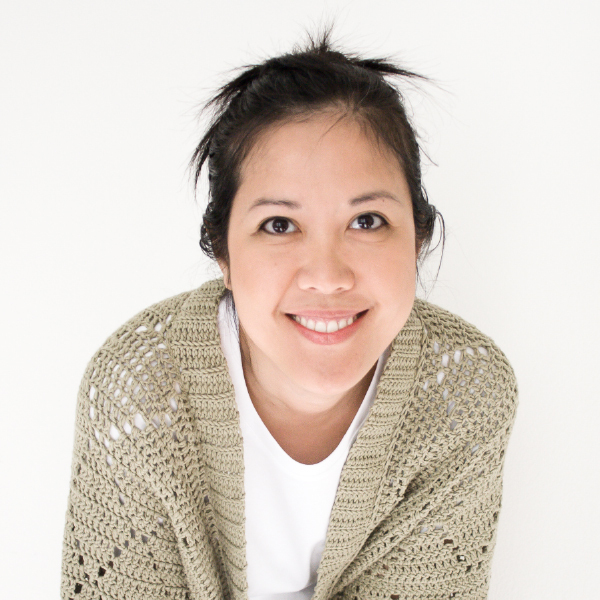 When you crochet, do you have a loose or tight tension? I just finished one shoe using worsted weight Red Heart super saver with a G hook & it barely fits my 3 1/2 month old. I’m wondering if my tension is just too tight & I should use a larger hook to make these fit a 6-12 month old. I’ve never been able to gauge right, but I keep my tension fairly loose, I think. I can definitely stretch the ones I made to be bigger than it’s normal size. Crocheting it too tight would eliminate any give in the shoe. I have had success using a larger hook on other projects when I felt like I couldn’t get my tension correct. Hope it works out! How would I be able to make a larger size? Say for a 2 year old? Thank you! Unfortunately, I did not modify the pattern for any sizes larger than this, sorry! You can try thicker yarn or a larger hook, but it might not come out the same. Thank you for this adorable pattern. I just made a pair for my soon to arrive great nice. They are so sweet. I put a set together with a blanket, tiny mittens, a hat and these little slippers. I can’t wait to give them to my nice. You’re welcome Jackie and congrats! I think I got it, and I must say, I like it how you did it. It makes the sole more sturdy. Very nice technique to learn. Oh good, glad you were able to figure it out. It does make for a very distinctive sole, doesn’t it? oh, I’m having trouble understanding Row 4 .. so was searching for answers — found this question by Elaine, but she figured it out prior to anyone giving an answer 🙂 But, I still some assistance in understanding what to do here … I can’t figure out how to crochet ‘backwards’? or where to exactly stitch. Any help would be appreciated! Such adorable slippers! ha! I think I got it too! On to round 5! Hey Teresa, I’m glad you figured it out. You have to flip your work so you’re looking at the other side, so that when you do crochet it’s actually in the opposite direction as the row before. I don’t know any other way to explain it, but you work the sc around the previous row – it’s what makes the edge of the sole defined and thicker. Also have difficulty with round 4, is it a post stitch? And my count on round 2 did not come out to 40 but 42? By “around” do you mean to work a front post single crochet? I just found your blog. I LOVE these and the rest of your patterns! Thank you!! I think it’s a deep single crochet or what you were referring to.. Not sure though. Hi there. Looks like you figured out Row 4. I have been trying and trying and I just cannot figure it out. To me, crocheting in “the space between row 2 and 3” is the same place I would typically insert the hook, so what am I missing?? These are ADORABLE and I want to get them right!! So cute I just had to pin! Thanks for the pin Stella! These are just adorable like all you create. You are very talented and so kind to share your talent. I can’t wait to make these for my little grand-daughter. Thank you so much Renata! Unfortunately, I do have this pattern in other sizes. THE cutest little shoes EVER!!!! I nearly choked when i saw the elephant buttons, they are incredible and I am dying for them. I’m obsessed with elephants! 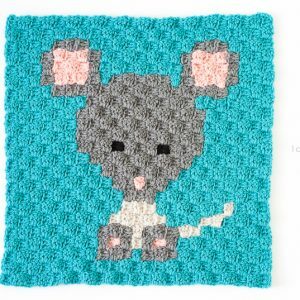 I am terrible at following patterns, i strictly crochet from youtube tutorials, but i thnk i am willing to work hard to figure this one out! Thank you Carolena! I love those elephant buttons too, too cute, right? Thank you for sharing! these are beautiful! These are so precious! I love the strap as well as the idea of the colored sole! Really cool! Thanks for the pattern! I LOVE these! As soon as I pinned this my sister asked me to make them for her for a shower gift! I just wish I could figure out how to print the pattern so I could work on them on my lunch break! Thank you! You can copy the text into a text file or print the webpage directly. 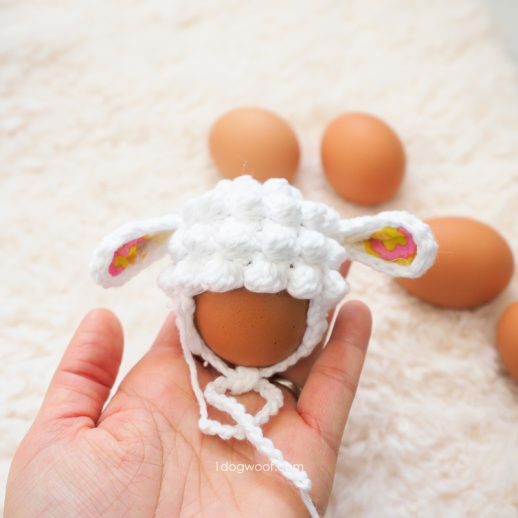 These are adorable and are so easy to make! But the first stitch is a ch2 and then a HDC. Thanks! I’ve updated it to first “stitch”. Thank you so much for sharing! I just made these for my 17 month old. I used an H hook with worsted yarn and a loose tension and they fit perfectly (between 4-5 toddler size). Now to figure what to use for non-slip bottom. I like the silicone idea. TOO CUTE!!!! Ooh, that’s good to know, thank you for sharing your results with me! I wonder if it’s possible to glue on small pieces of suede on the bottom of the sole…. Thank you very much for share this pattern ! I would like to try to do it . Now I just beginner for crochet! Thanks!!! I am happy to find your website , I think I can learn a lot from you!!! Thank you! Ps I also come from Taiwan !! !now I live kn berlin Germany. I’m having trouble with round 6. No matter how I count it, I can’t get 42. When I ss to first sc at the end of round 6, should the as be going across 4 stitches (over round 5)? Dang, never mind, I just figured out my error. I was increasing, not decreasing. I’m still new at this. Thanks for the pattern! Thanks Karine! I lived in Montreal for a year way back in the day 🙂 So glad you like the mary janes and that both kids can have one! Hi Ellen, the site was down for a bit last night with an error but is back up now. You’ll probably need to refresh your cache (Command or Ctrl-R should do it). Thanks for understanding! Do you work that first sc into the same stitch as the ch2? Do you skip the last sc so you can sl stitch into the ch2? The first sc is worked into the next stitch, since the ch2 is considered a stitch, and there shouldn’t be any skipped stitches. You slip stitch into the first sc. 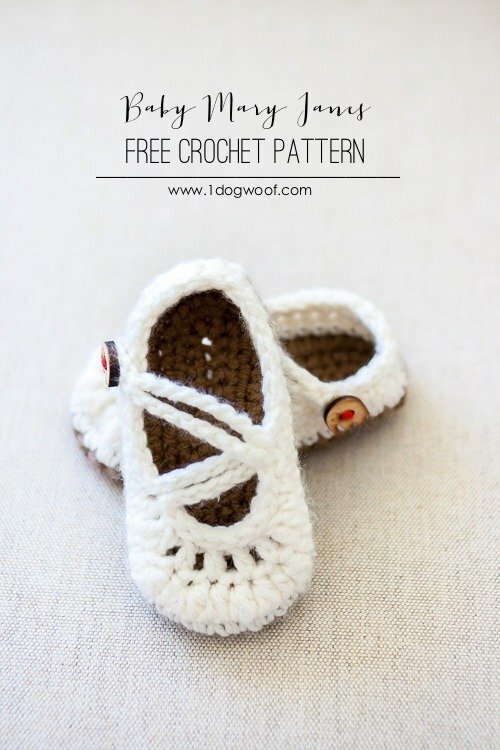 I love the Crochet shoes pattern. They are so cute. I will be making some for my new granddaughter. can’t wait to make some for my baby niece! Could you please clarify/check Row 7 as I have got it good until Row 7 and then it goes horribly wrong for me. Thank you. I’ve had several readers say the pattern works all the way through so I won’t be able to tell what went wrong. Sorry! These Mary Janes are so adorable. I am justnwondering if you could give me the approximate lenth of the sole. Mine came out to 5″. These will be a gift, so I just want to make sure I made them at a good length. I think 5″ is about right. I’m sure you can change it depending on your gauge and hook size too. does your sole measure 5″ in length with a G hook? I can understand your pattern very well. I finished row 4 and am moving on to row 5. I do see the distinct ridge that defines the sole line. However, I do not see this in your amazing, adorable pictures. I feel like this gives a whole different look to the shoes…did I miss something? I may just skip row 4 because I don’t really want an edge. The sole edge shouldn’t be a ridge really, it should just be a distinct angle instead of just having the sole being rounded right up into the shoe body. Of course, modifications are up to you though! Hi thank you so much for this adorable pattern! I made a pair for my niece and they look so adorable on her. I did get extremely frustrated with row 4 so it would be a great help to others if you provided a photo for that step; I did figure it out though. Thank you! I wanted to thank you for this adorable pattern. I also made a pair and they turned out so cute, am selling them on Etsy so I included your website in the listing itself. Thank you again! Hi, just wondering. When you say hdc2tog in next 2 stitches, are you doing one hdc2tog or 2 of them? Hi Terry, hdc2tog next 2 stitches means doing 1 hdc across two stitches, or decreasing across 2 stitches. Hope that helps! Sorry, I only have this one pattern. You can try adjusting yarn weight, hook or gauge to get different sizes. Am having such a hard time! Will you be posting pictures to go along or a video tutorial by any chance? These are so adorable! and I really want to make a pair! Wonderful pattern! I just finished making these tonight and the pattern was very well written and easy to follow. Thank you so much! On round four I keep coming with 40 instead of 41 🙁 Where does the extra stitch that I’m supposed to get go? I’m having a hard time finding where it is supposed to be. Thanks in advanced for any help!! And thank you for the beautiful pattern as well! I don’t have the shoe on hand, but I think the extra stitch came from the fact that you switched directions and had to create a standing sc stitch to begin the new round. Im having trouble with round 6 I am coming up with a gap in the back of shoe. I get 42 but it dont go together in the back. They are soon cute. Thx for the pattern. Row 8 is very unclear when you say “then sl st in same stitch”. Usually that would mean in the stich you are working in (on the strap), not the begining of the first ch 20. It would be great if you could clear that up in the instructions. Sounds like you already did! 🙂 Thanks for sharing! It is a very good design and a great pattern. Thank you for sharing it. I need to know how could i apply it for 18 months baby shoes. My best guess is to use a larger hook or a thicker yarn. Sorry I don’t have specific size patterns! Thank you for sharing. These are beautiful! Just made these cute lil shoes as a gift…they came out precious..thank you. The way it’s written, it means work 6 HDCs into the last stitch. I have a hard time reading the patterns. Is it possible to have u do a video of this sweet pair of shoes. I would like to make them for my new granddaughter. These are just precious, and the buttons are adorable! I adore these! I have never crocheted before but I have to make these for my nine month old baby girl. I’m a fast learner and with the help of YouTube tutorials I’m sure I’ll be able to manage. Thank you so much for sharing your talent. You have inspired me to learn something new! Thank you for the wonderful pattern. These are the first pair of booties that I successfully completed. That’s awesome to hear! Don’t you love the feeling of completion? Hi, am not sure if the instructions for the right shoe are correct as the hole in which to pass the band is too up high and the start of the actual band is too down low.. not sure what mistake I am making, because the left shoe came out correctly, the right one not. Round 5..When you say hdc2tog in next 2 stitches….hdc2tog uses 2 stitches so do you mean do hdc2tog 1 time (using 2 stitches) or do hdc2tog 2 times (using 4 stitches)? Hey Erin, I mean to hdc the next 2 stiches together – working 1 hdc2tog. Hope that helps! Confused… Your note at the top of the pattern says that the cain dose NOT count as a stitch except in round 7. BUT in the pattern instructions round 6 starts with CH 2 (counts as stitch)…. so should the note say except round 6 &7 or is it really only 7 that this applies?? I tried once and the little holes by the toe seemed to have the wrong placement, I am curious if this is why. Giving it one more shot, they are so adorable! So sorry for the confusion! I looked at the shoes again, and it must have been a typo – it’s chain 1, then sc into the same stitch. Let me know if this works – if not, I’ll have to make another pair to check. choices for country homes and businesses. I adore these little shoes! I am making them for a friends baby for Xmas! I am really confused once i get to Round 8 though. Im not a massive crocheter, so maybe I’m just not in the crocheter mindset! (Left Shoe) I have worked 1 sl st in each of the next 12 stitches. Ch20, sl in 5th chain from hook, ch 15. Then I get stuck. “then sl st in same stitch” does that mean into the stitch next to your hook or the 5th chain from hook where you sl stitched previously?? Nothing seems to look right to get the straps working! May be there is an online tutorial you could point me to?? Seems like you slst in the same stitch that you made your chain 20/strap. Or slst at the beginning of chain 20. Hope that helps! These are absolutely adorable! I You are an amazing artist! Thank you for sharing it with us. I absolutely loved your pattern!! I made a pair for my daughter but their a little too big for now. Do you have a smaller pattern between 3-6 months by chance? It seems in the 7th row I had to add more stitches till I reached the optimal strap start. Then also had to add more stitches to make the hole for the strap in the right place. Also the front of my shoe is not a tidy as yours. Any advice? 1 – Hdc 1 in next stitch. 2-11 – Work 1 sc in each of next 10 stitches. 13 – then dc2tog the next 2 stitches. 14 – *Skip 1 stitch and dc into next stitch*. 15-17 – Repeat from * 3 more times. 18 – Skip 1 stitch then dc2tog next 2 stitches. 19 – Hdc 1 in next stitch. 20-29 – Work 1 sc in each of next 10 stitches. 30-34 – Hdc 1 in each of next 5 stitches. Thank you so much for sharing your pattern and for your speedy response! Hi, I was counting the other day, and I can’t remember if that’s correct, to be honest. I’ll have to go look for the actual shoes and count them again. Very cute! Thank you for sharing pattern. 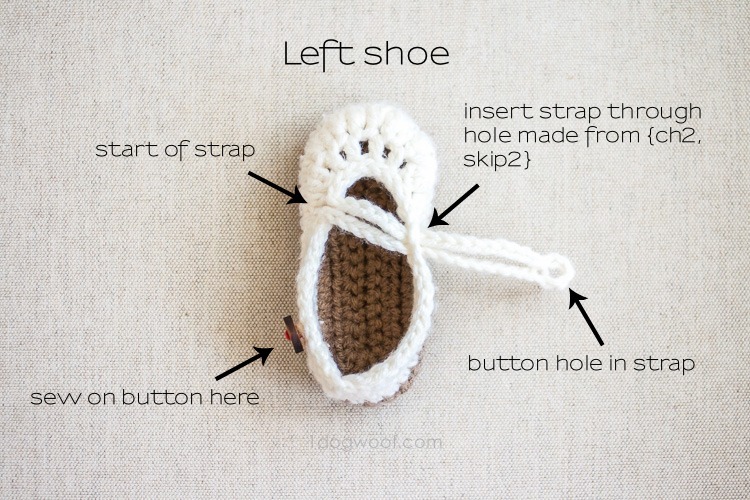 I finally found a super cute baby shoe with easy to follow instructions! So fun to make! Thank you so much!! I am a knitter, but know basic crochet. I am having a few difficulties interpreting the pattern correctly. For the hdc2together next 2 stiches. the hdc2together uses 2 stitches. Does the pattern mean you do it twice? I am not ending up correctly. Any decreasing stitch is worked across 2 stitches. The hdc2tog means you work the next 2 stitches together using an hdc, but you only do it once. 2 htc2tog means you do it twice, using 4 stitches. Hope that makes sense! I’ve made these multiple times now and no matter what I do, I have to modify the pattern slightly to make the toe part centered. for example, I have to start row six with 16 sc and then end it with 16 sc. Just wondering if that’s normal with other people? Am I doing something wrong? I always have the correct amount of stitches at the end of each round. Hi Iam new youtuber. Iam very weak in English. So first I say Sorry for any mistakes. I want to show this shoe pattern in my channel. May l use this pattern. I love these! So adorable! Have you ever thought of coming up with bigger sizes? I’d love to have a pair for myself and my 3 daughters! I actually used your straps on this pattern to put on my flats that kept coming off as I walk I had to adjust the length of course!